Summary: Shan Cai, a normal citizen, probably more on the poor side, is attending Ying De University, the private school made exclusively for rich citizens. Besides being looked down upon by rich classmates, she has angered the leader of F4, Dao Ming Si. F4 comprises of Dao Ming Si, Hua Ze Lei, Xi Men, and Mei Zuo, who are the heirs to the four richest families and they donated a lot of money to the school so nobody dares to challenge them. This poor girl dared to attack DMS, which nobody has done before, and made DMS sprout an interest toward her. However, his constant torture of her has made her hate him, but made her fall in love with Hua Ze Lei, who helped her during DMS's torturing. Can DMS get her love through his cold and cruel exterior? Will their love last when everyone is trying to break them up? What happens when his fiancee comes and his mother has used all the worst ways to keep her from him? 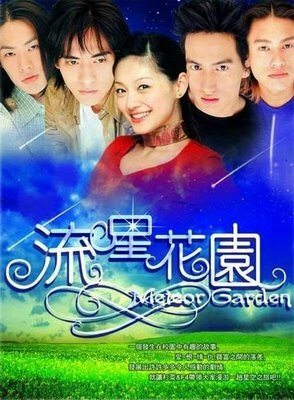 Meteor Garden is AMAZING. But the second one looks boring cept for the first epi and last few. It's better than It started with a kiss cause that one moves slowly. Devil beside you is also really good.